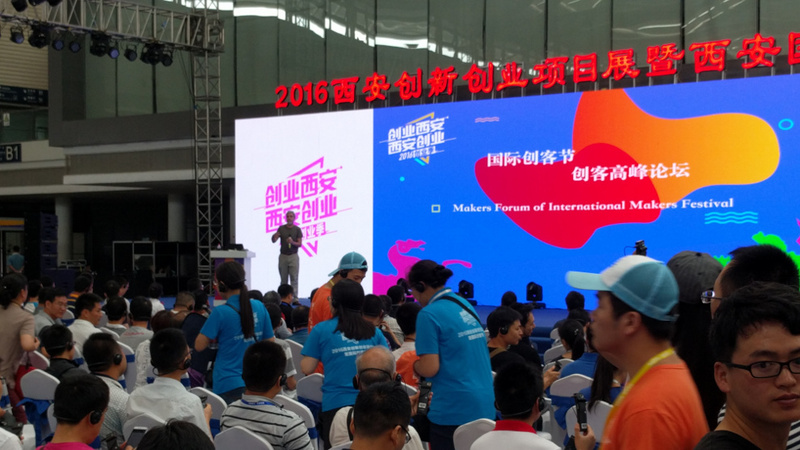 Making the Technology for Tomorrow's International Security - for the Xi'an International Maker Faire in China. Supporting a New Generation of Innovators and Entrepreneurs - for the Westminster Higher Education Forum in Whitehall London. Truth, Opportunity and Failure - St Pauls Cathedral to the Occupy Movement. Remembrance Day in Berlin - 11th Nov 2006 - The taking of and laying of a wreath of poppies in Berlin with 2 minutes silence. For the Xi'an International Maker Faire in China. How our next generation of engineers need to take the military industries from "for profit" organisations into organisations focussed on defending the people of all nations, with equal priority, in order to focus on the rich future that technology can give us. The choice is between human destruction and human prosperity. For the Westminster Higher Education Forum in Whitehall London. 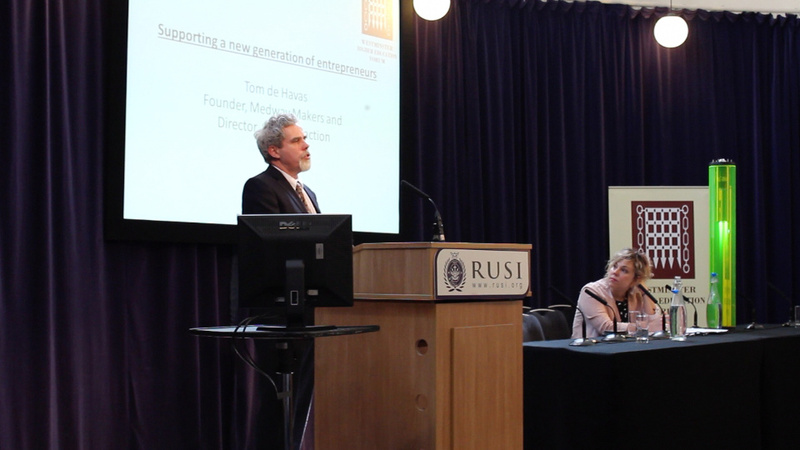 What can modern education with its emphasis on conformance and measurement do in order to support innovation and entrepreneurs with their emphasis on diversity and performance? Tom de Havas attempts to highlight some of the problems from the perspective of an entrepreneur and suggest some changes to free up education to support innovation and entrepreneuring. - St Pauls Cathedral to the Occupy Movement. "Many people listen to that news, and it gives them the feeling that they are seeing a summary of the world, an overview, and if that overview does not conflict with their sense of how the world should be, they can be happy and get on with their part in it. Of course some realise that what they are getting, is just a keyhole view, onto a vast landscape, but still they check it against their sense of how the world should be, and they carry on, knowing that they have missed some of the picture, but OK with what they have seen. Now the internet has widened that keyhole to the size of a rabbit hole and so some people would like to close it down again. And we say NO." 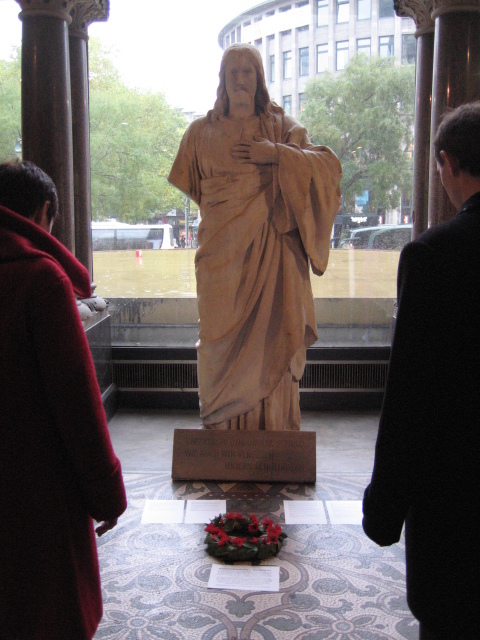 11th Nov 2006 - The taking of and laying of a wreath of poppies in Berlin with 2 minutes silence. Oct 2006 - Nov 2006 Remembrance day 11th November 2006. Examination of the role of the soldier in the context of liberty and justice culminating in the writing of the soldier's prayer and the taking of a wreath of poppies to Berlin in commemoration of of those that did good, those that did evil, and the vast majority who simply followed them. Although I am not religious, I felt that a prayer was the best way to express what needed to be expressed. The picture shows the wreath taken to Germany from England.